Franklin D. Roosevelt was the only U.S. president to be elected four times. FDR was an unimpressive 'C' student at Harvard. 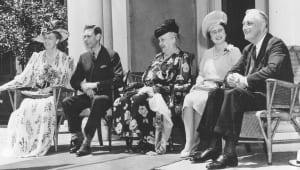 FDR and his wife Eleanore were fifth cousins. 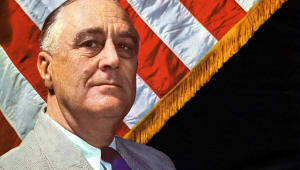 Franklin Delano Roosevelt (January 30, 1882 to April 12, 1945) was the 32nd American president. 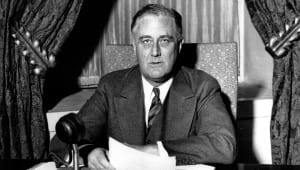 FDR, as he was often called, led the United States through the Great Depression and World War II, and greatly expanding the powers of the federal government through a series of programs and reforms known as the New Deal. Stricken with polio in 1921, Roosevelt spent much of his adult life in a wheelchair. A whole generation of Americans grew up knowing no other president, as FDR served an unprecedented four terms in office. 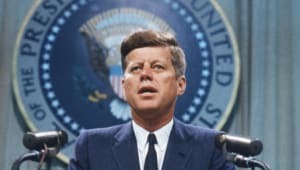 Roosevelt’s social programs reinvented the role of government in Americans&apos; lives, while his presidency during World War II established the United States&apos; leadership on the world stage. On March 12, 1933, just eight days after first taking office, Roosevelt initiated his first of more than 30 fireside chats. 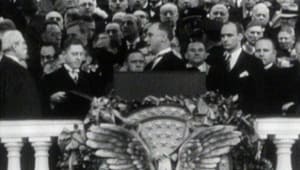 Broadcast live on the radio from the White House, the earnest and accessible speeches were a powerful tactic to rally American support around FDR’s New Deal and World War II policies. 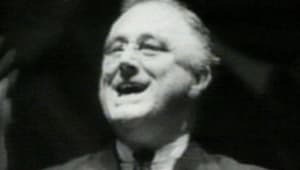 Within his first 100 days after taking office in March of 1933, Roosevelt called for a "New Deal" for Americans, proposing sweeping economic reforms to address the Great Depression. The greatest crisis in American history since the Civil War, 13 million Americans were unemployed and hundreds of banks were closed. Roosevelt ordered the temporary closure on all banks to halt the run on deposits. 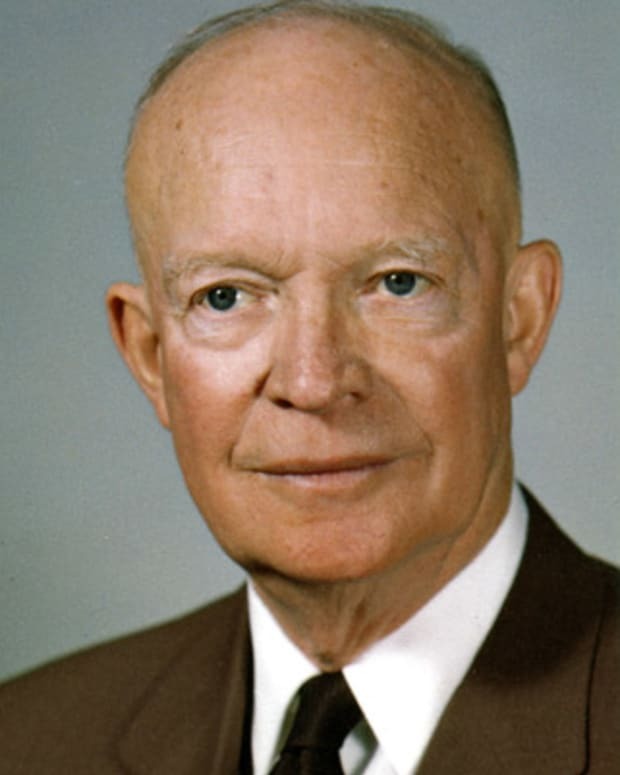 He formed a "Brain Trust" of economic advisers who designed the "alphabet agencies" such as the AAA (Agricultural Adjustment Administration), to support farm prices by reducing agricultural production through subsidies; the CCC (Civilian Conservation Corps), to employ young unmarried men to work refurbishing public lands and national parks; and the NRA (National Recovery Administration), which regulated wages and prices. Other agencies insured bank deposits, regulated the stock market, subsidized mortgages and provided relief to the unemployed. 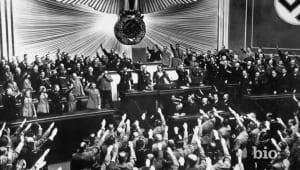 By 1936 the U.S. economy showed signs of improvement: Gross national product was up 34 percent, and unemployment had dropped from 25 percent to 14 percent. 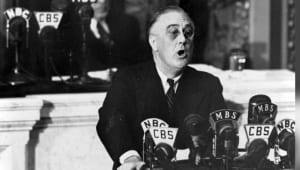 But Roosevelt faced criticism for increased government spending, unbalanced budgets and what some perceived as a move toward socialism. During the mid-1930s, several New Deal acts were declared unconstitutional by the Supreme Court. 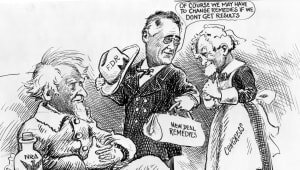 Roosevelt retaliated by proposing to "pack" the court with justices more favorable to his reforms. Many in Congress, including some Democrats, rejected the idea. 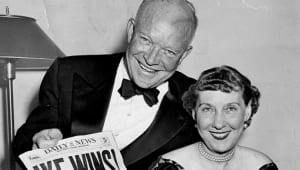 By 1938, negative publicity, a continuing sluggish economy and Republican victories in midterm elections virtually ended Roosevelt&apos;s ability to pass more reform legislation. 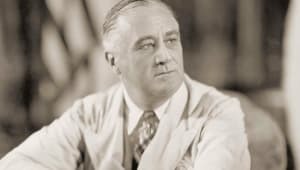 In 1921 at the age of 39, Franklin D. Roosevelt was diagnosed with polio while vacationing at Campobello Island, New Brunswick, Canada. 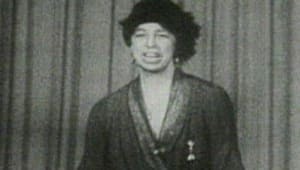 At first refusing to accept that he was permanently paralyzed, Roosevelt tried numerous therapies and even bought the Warm Springs resort in Georgia seeking a cure. Despite his efforts, he never regained the use of his legs. 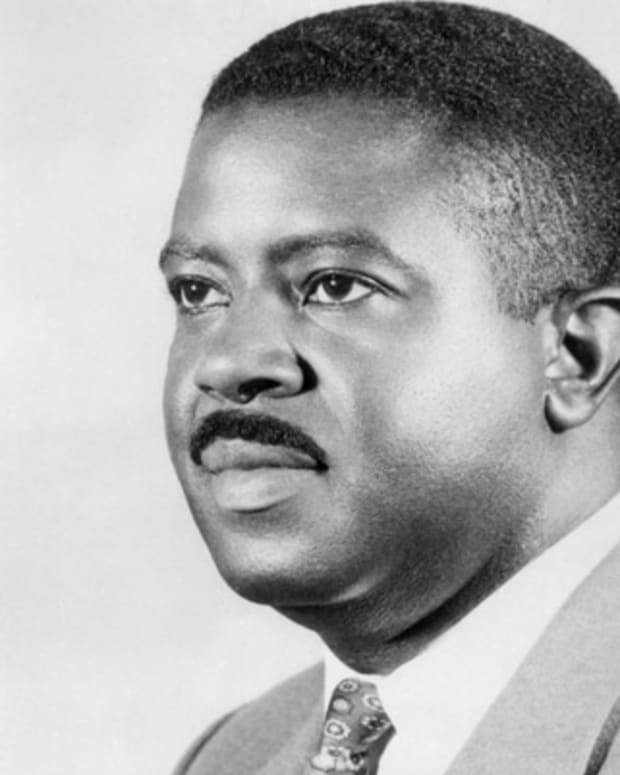 He later established a foundation at Warm Springs to help others, and instituted the March of Dimes program that eventually funded an effective polio vaccine. For a time, Roosevelt was resigned to being a victim of polio, believing his political career to be over. 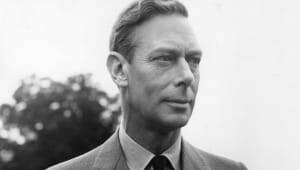 But his wife Eleanor and political confidante Louis Howe encouraged him to continue on. Over the next several years, Roosevelt worked to improve his physical and political image. He taught himself to walk short distances in his braces. And he was careful not to be seen in public using his wheelchair. When and Where was FDR Born? 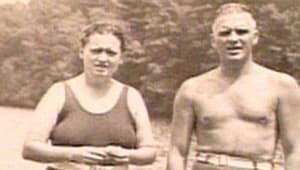 FDR was born into a wealthy family as the only child of James Roosevelt and Sara Ann Delano Roosevelt. 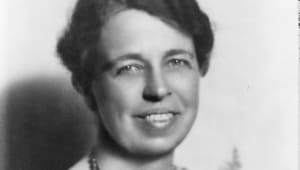 The Roosevelts had been prominent for several generations, having made their fortune in real estate and trade, and lived at Springwood, their estate in the Hudson River Valley of New York State. While growing up, Franklin D. Roosevelt was surrounded by privilege and a sense of self-importance. 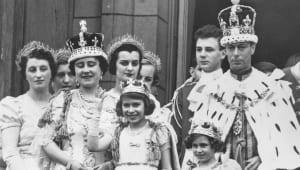 He was educated by tutors and governesses until age 14, and the entire household revolved around him, with his mother being the dominant figure in his life even into adulthood. 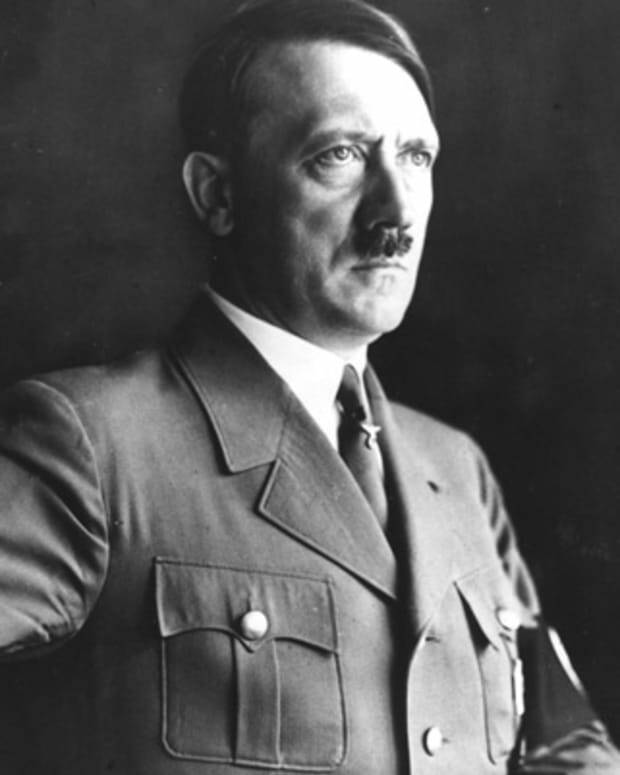 His upbringing was so unlike the common people whom he would later champion. In 1896, Roosevelt attended Groton School for boys, a prestigious Episcopal preparatory school in Massachusetts. The experience was a difficult one for him, as he did not fit in with the other students. Groton men excelled in athletics and Roosevelt did not. 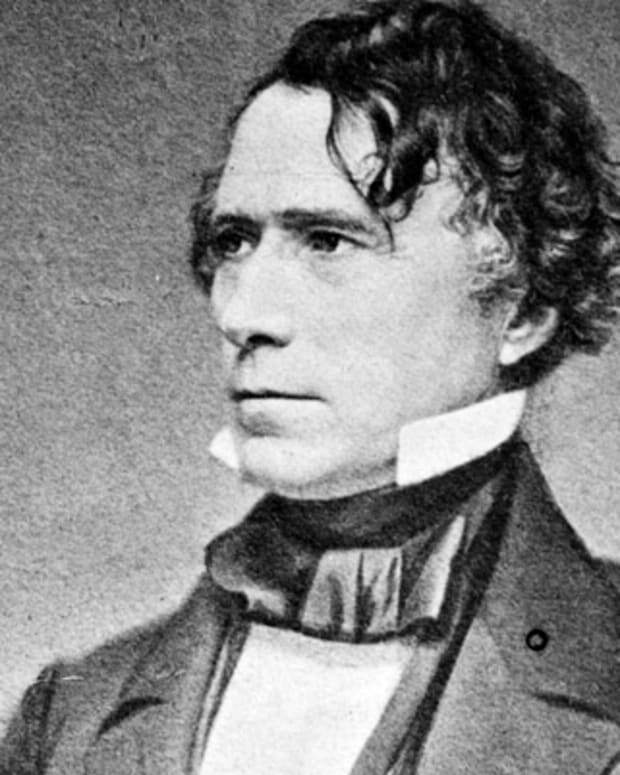 He strived to please the adults and took to heart the teachings of Groton&apos;s headmaster, Endicott Peabody, who urged students to help the less fortunate through public service. After graduating from Groton in 1900, Roosevelt entered Harvard University, determined to make something of himself. 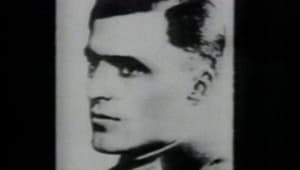 Though only a "C" student, he was a member of the Alpha Delta Phi fraternity, editor of the Harvard Crimson newspaper and received his degree in only three years. 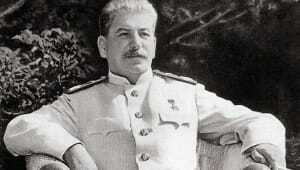 However, the general consensus by his contemporaries was that he was underwhelming and average. Roosevelt went on to study law at Columbia University Law School and passed the bar exam in 1907, though he didn&apos;t receive a degree. For the next three years, he practiced corporate law in New York, living the typical upper-class life. But he found law practice boring and restrictive. He set his sights on greater accomplishments. Franklin D. Roosevelt married Eleanor Roosevelt, his fifth cousin and the niece of his distant relative and idol, Theodore Roosevelt, on March 17, 1905. The couple became engaged during Roosevelt’s last year at Harvard. 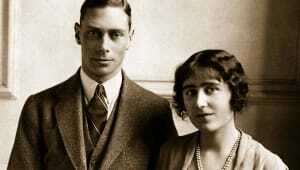 In 1914, Roosevelt developed a relationship with Lucy Mercer, his wife’s social secretary, which evolved into a love affair. 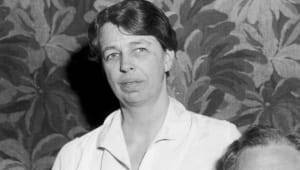 When Eleanor discovered the affair, she gave Franklin an ultimatum in 1918 to stop seeing Lucy or she would file for divorce. He agreed but continued to secretly see Mercer over the years. As a state senator, Roosevelt opposed elements of the Democratic political machine in New York. 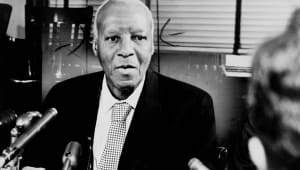 This won him the ire of party leaders but gained him national notoriety and valuable experience in political tactics and intrigue. 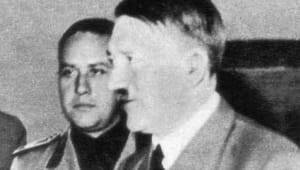 During this time, he formed an alliance with Louis Howe, who would shape his political career for the next 25 years. Roosevelt was re-elected to the state senate in 1912 and served as chair of the agricultural committee, passing farm and labor bills and social welfare programs. 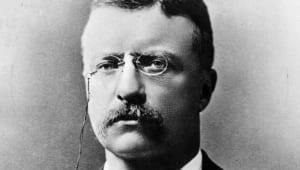 During the 1912 National Democratic Convention, Roosevelt supported presidential candidate Woodrow Wilson and was rewarded with an appointment as Assistant Secretary of the Navy, the same job Theodore Roosevelt had used to catapult himself to the presidency. 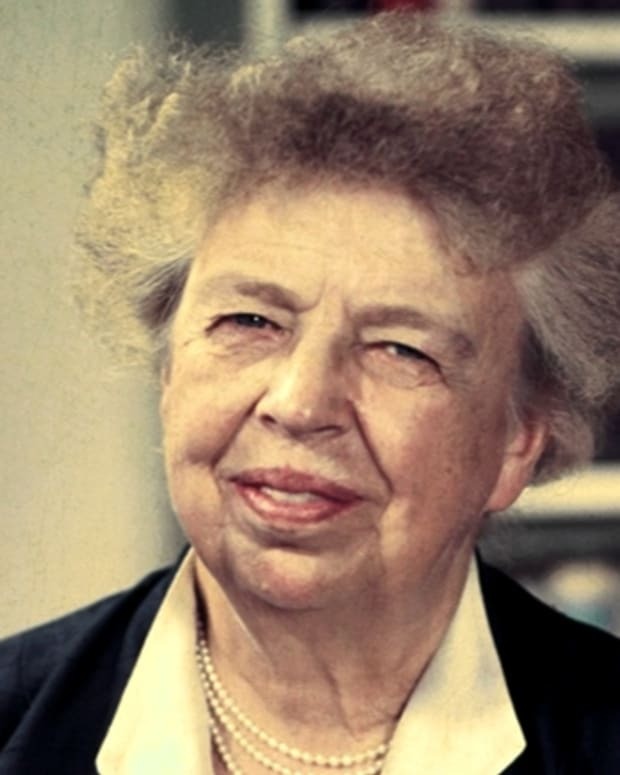 Roosevelt was energetic and an efficient administrator. 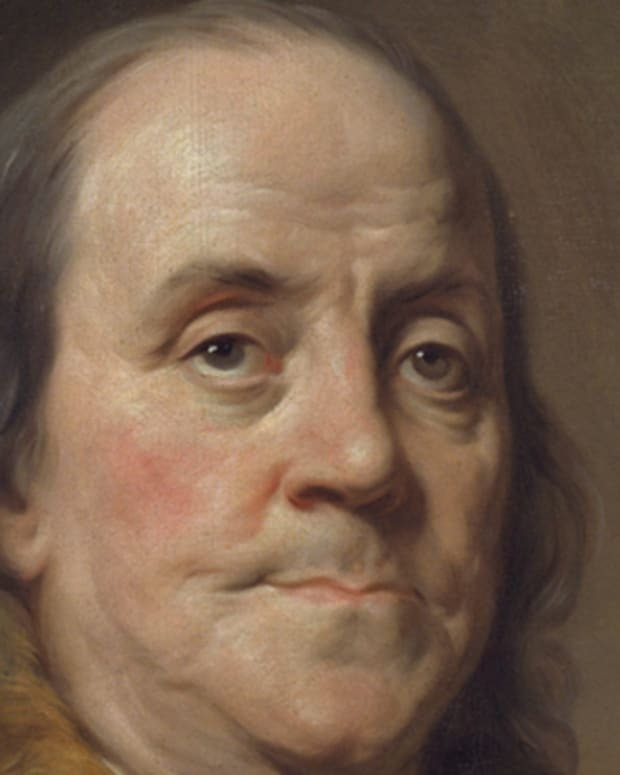 He specialized in business operations, working with Congress to get budgets approved and systems modernized, and he founded the U.S. Naval Reserve. 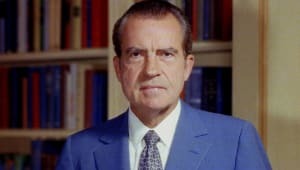 But he was restless in the position as "second chair" to his boss, Secretary of the Navy Josephus Daniels, who was less enthusiastic about supporting a large and efficient naval force. In 1914, Roosevelt decided to run for the U.S. Senate seat for New York. The proposition was doomed from the start, as he lacked White House support. 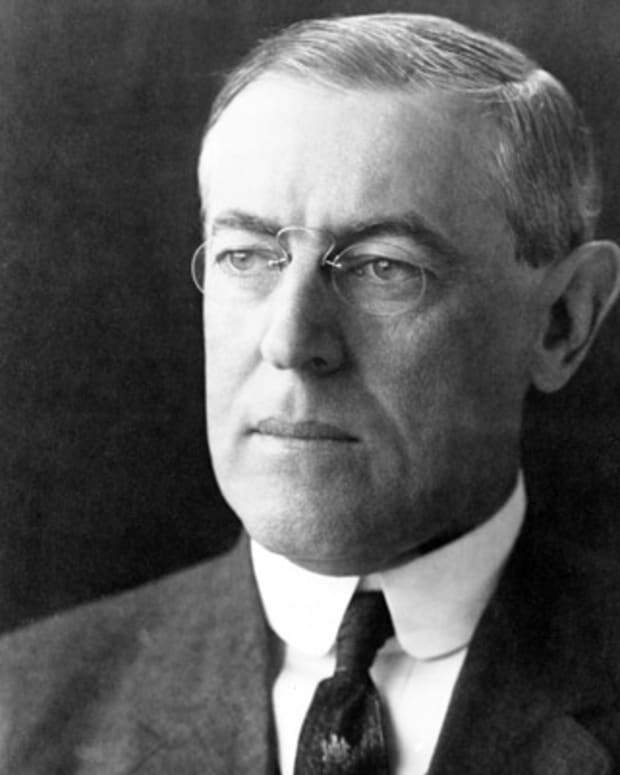 President Wilson needed the Democratic political machine to get his social reforms passed and ensure his re-election. 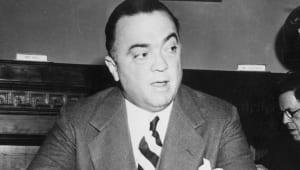 He could not support Franklin Roosevelt, who had made too many political enemies among New York Democrats. Roosevelt was soundly defeated in the primary election and learned a valuable lesson that national stature could not defeat a well-organized local political organization. Still, Roosevelt took to Washington politics and found his career thriving as he developed personal relationships. At the 1920 Democratic Convention he accepted the nomination for vice president, as James M. Cox&apos;s running mate. The pair was soundly defeated by Republican Warren G. Harding in the general election, but the experience gave Roosevelt national exposure. Roosevelt repaired his relationship with New York&apos;s Democratic political machine. He appeared at the 1924 and 1928 Democratic National Conventions to nominate New York governor Al Smith for president, which increased his national exposure. In 1928, outgoing New York governor Al Smith urged Franklin D. Roosevelt to run for his position. Roosevelt was narrowly elected, and the victory gave him confidence that his political star was rising. 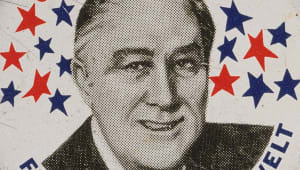 As governor, FDR believed in progressive government and instituted a number of new social programs. Following the stock market crash of 1929, Republicans were being blamed for the Great Depression. 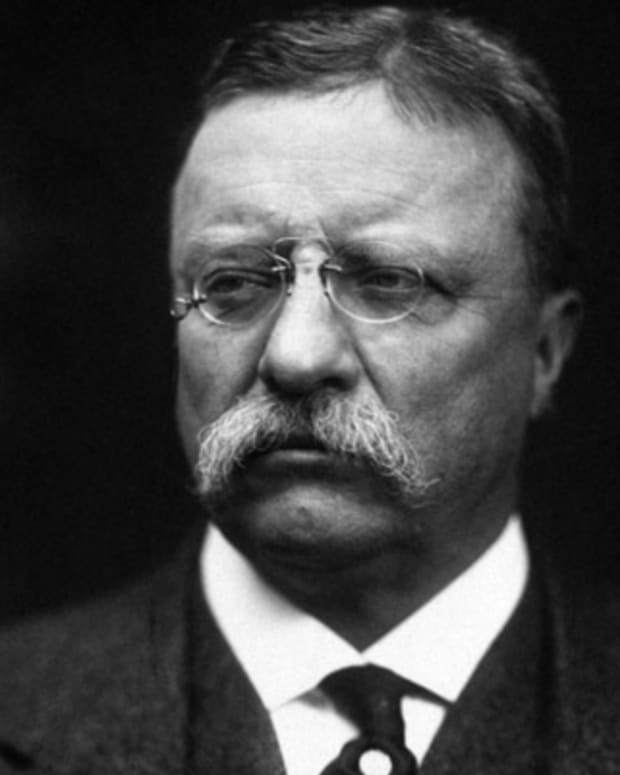 Sensing opportunity, Roosevelt began his run for the presidency by calling for government intervention in the economy to provide relief, recovery and reform. 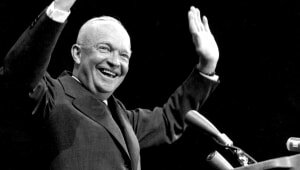 His upbeat, positive approach and personal charm helped him defeat Republican incumbent Herbert Hoover in November, 1932. 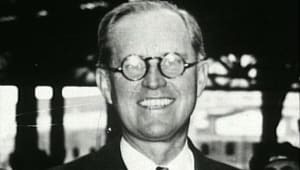 When FDR ran for his second term in 1936, he was re-elected to office on November 3, 1936 in a landslide against Alfred M. “Alf” Landon, the governor of Kansas. Early in 1940, Roosevelt had not publicly announced that he would run for an unprecedented third term as president. 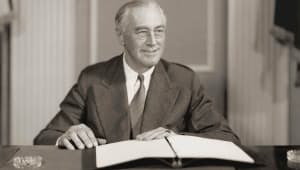 But privately, in the middle of World War II, with Germany&apos;s victories in Europe and Japan&apos;s growing dominance in Asia, FDR felt that only he had the experience and skills to lead America in such trying times. At the Democratic National Convention in Chicago, Roosevelt swept aside all challengers and received the nomination. 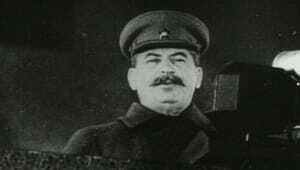 In November, 1940, he won the presidential election against Republican Wendell Willkie. 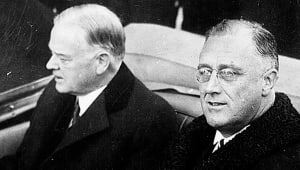 As the end of FDR’s third term as president neared, the U.S. was deeply involved in war, and there was no question that he would run for a fourth term. 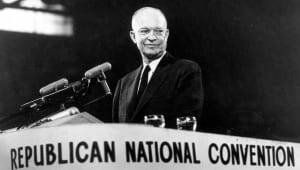 Roosevelt selected Missouri Senator Harry S. Truman as his running mate, and together they defeated Republican candidate Thomas E. Dewey in the presidential election of 1944, carrying 36 of the 48 states. In 1933 Franklin D. Roosevelt stepped away from the unilateral principle of the Monroe Doctrine and established the Good Neighbor Policy with Latin America. 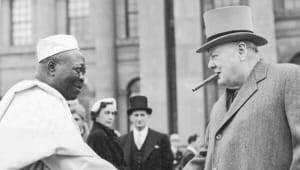 Since the end of World War I, America had held an isolationist policy in foreign affairs, and by the early 1930s, Congress passed the Neutrality Acts to prevent the United States from becoming entangled in foreign conflicts. 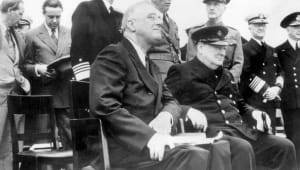 However, as military conflicts emerged in Asia and Europe, Roosevelt sought to assist China in its war with Japan and declared that France and Great Britain were America&apos;s "first line of defense" against Nazi Germany. 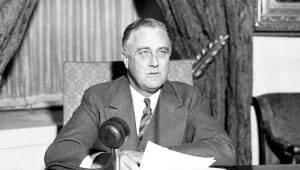 In 1940, Roosevelt began a series of measures to help defend France and Britain from Nazi aggression in World War II, including the Lend-Lease agreement, which Congress passed as the Lend-Lease Act in 1941. 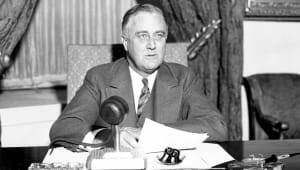 During early 1941, with war raging in Europe, Franklin D. Roosevelt pushed to have the United States&apos; factories become an "arsenal of democracy" for the Allies—France, Britain and Russia. 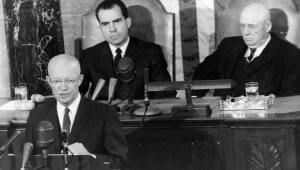 As Americans learned more about the war&apos;s atrocities, isolationist sentiment diminished. 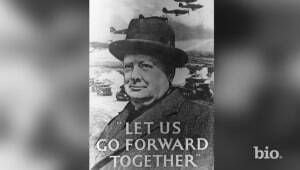 Roosevelt took advantage, standing firm against the Axis Powers of Germany, Italy and Japan. 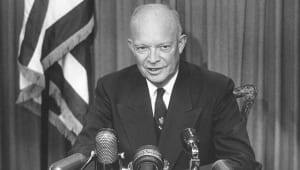 Bipartisan support in Congress expanded the Army and Navy and increased the flow of supplies to the Allies. However, any hopes of keeping the United States out of war ended with the Japanese attack on Pearl Harbor on December 7, 1941. Within a few months after declaring war, President Franklin D. Roosevelt signed Executive Order 9066, ordering all persons of Japanese descent to leave the West Coast. As a result, 120,000 people, many American citizens, were sent to internment camps located inland. Oddly, no such order applied to Hawaii, where one-third of the population was of Japanese descent, nor to Americans of Italian or German ancestry living in the United States. Nearly all Japanese Americans along the West Coast were forced to quit their jobs and sell their property and businesses at a tremendous loss. Their entire social order was turned upside down as families were given just days to leave their homes and neighborhoods and be transported to the internment camps. 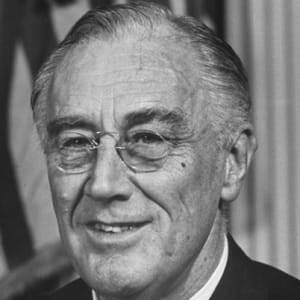 During World War II, Franklin Roosevelt was a commander in chief who worked with and sometimes around his military advisers. 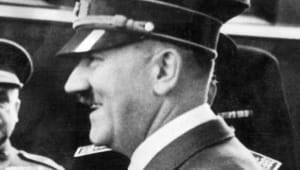 He helped develop a strategy for defeating Germany in Europe through a series of invasions, first in North Africa in November 1942, then Sicily and Italy in 1943, followed by the D-Day invasion of Europe in 1944. 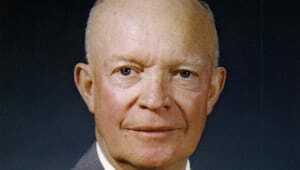 At the same time, Allied forces rolled back Japan in Asia and the eastern Pacific. During this time, Roosevelt promoted the formation of the United Nations. 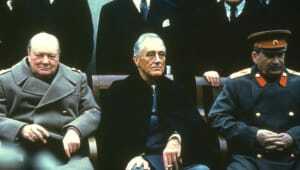 In February, 1945, Franklin Roosevelt attended the Yalta Conference with British Prime Minister Winston Churchill and Soviet General Secretary Joseph Stalin to discuss post-war reorganization. 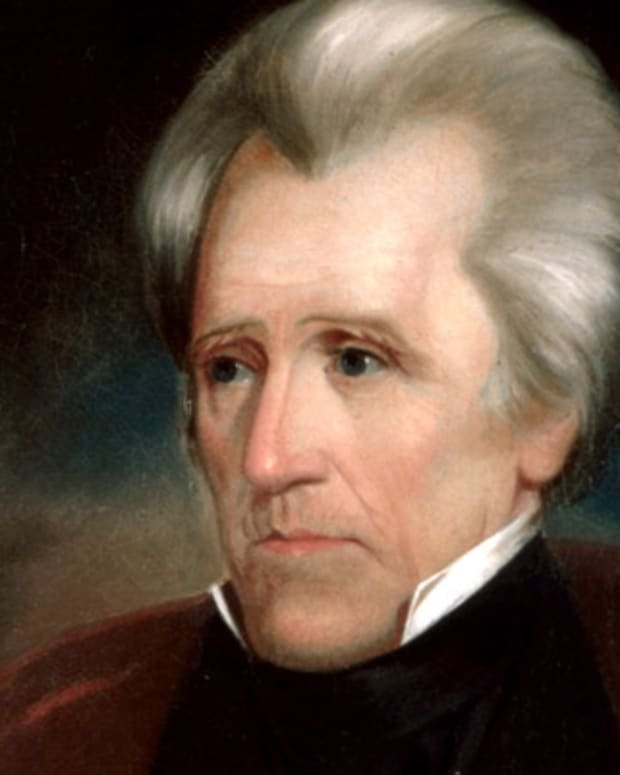 He then returned to the United States and the sanctuary of Warm Springs, Georgia. 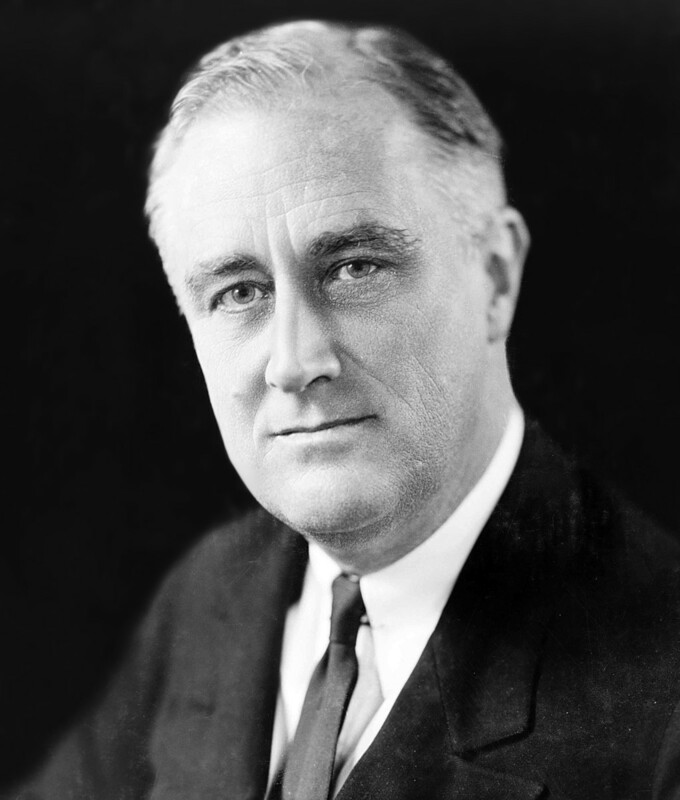 On the afternoon of April 12, 1945, Franklin D. Roosevelt suffered a massive cerebral hemorrhage and died. 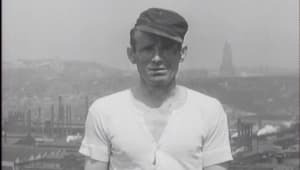 The stress of World War II had taken its toll on his health, and in March, 1944, hospital tests indicated he had atherosclerosis, coronary artery disease and congestive heart failure. By Roosevelt’s side at his death were two cousins, Laura Delano and Margaret Suckley, and his former mistress Lucy Mercer Rutherford (by then a widow), with whom he had maintained his relationship. 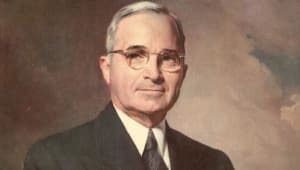 Within hours of Roosevelt&apos;s passing, Vice President Harry S. Truman was summoned to the White House where he took the oath of office. 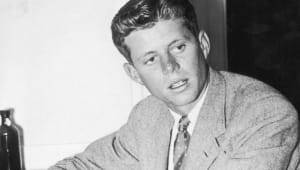 FDR&apos;s sudden death shook the American public to its core. 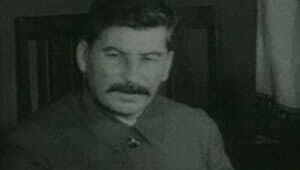 Though many had noticed that he looked exhausted in photographs and newsreels, no one seemed prepared for his passing.